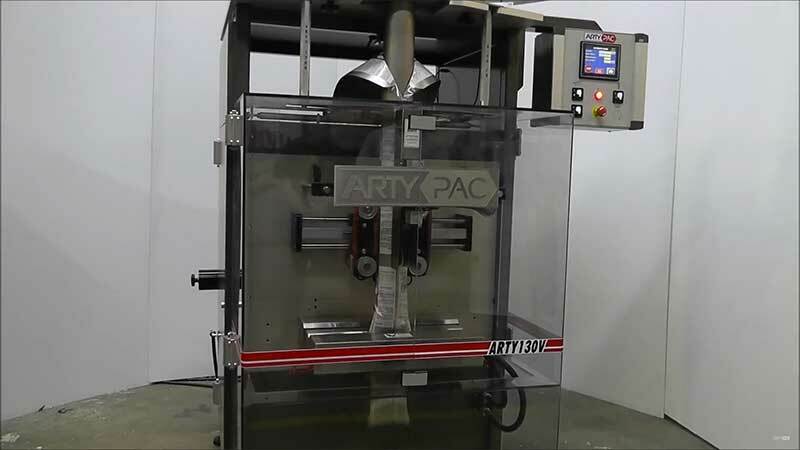 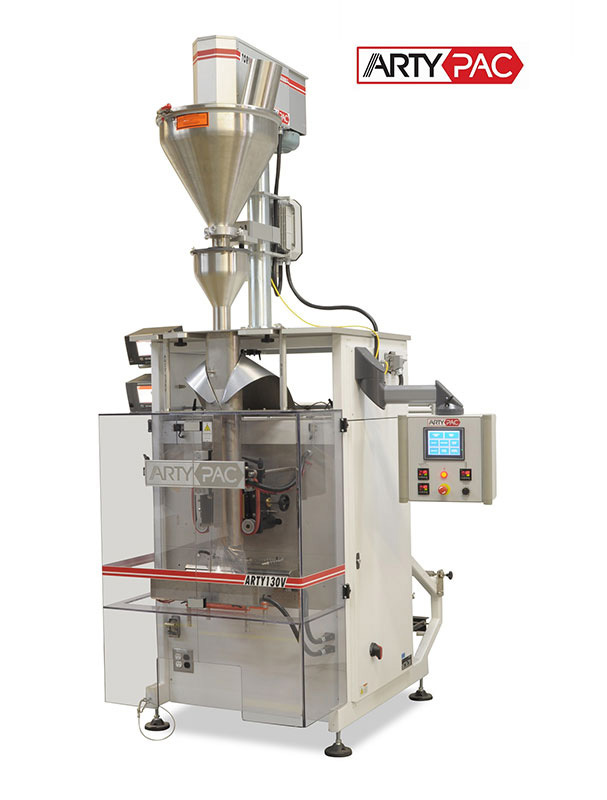 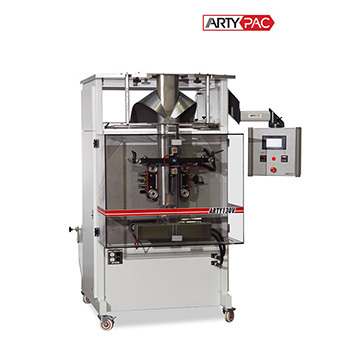 Innovative, the ARTY130V, is a vertical form-fill-and-seal machine that incorporates a new technology which makes it one of the most easy-to-use and reliable machine on the market. 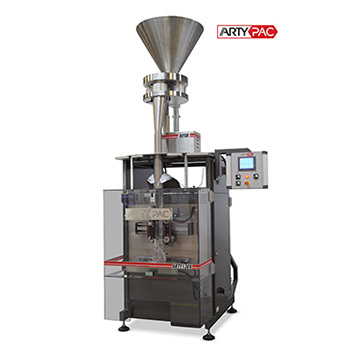 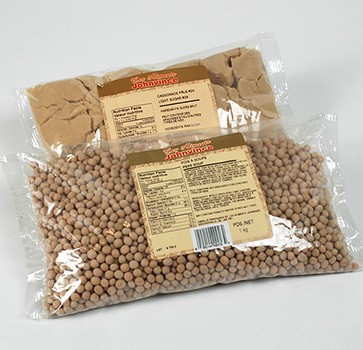 It is designed to package liquids or dry products, such as coffee, candies, vegetables, spices, powders, cereals, juices, pasta sauces, viscous products, hardware parts and many more. 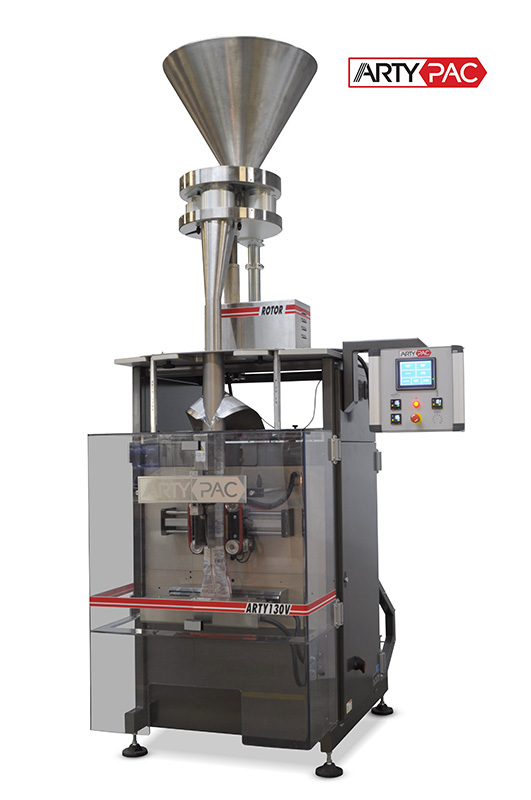 It works well with single or multiple linear scales, combination scales, liquid fillers, volumetric or auger fillers, and other special fillers. 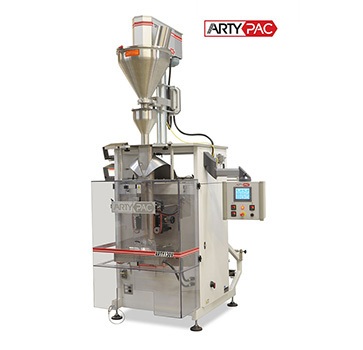 All functions are PLC controlled and the machine is equipped with a user friendly touch screen interface which can store up to 99 recipes for as many different set ups. 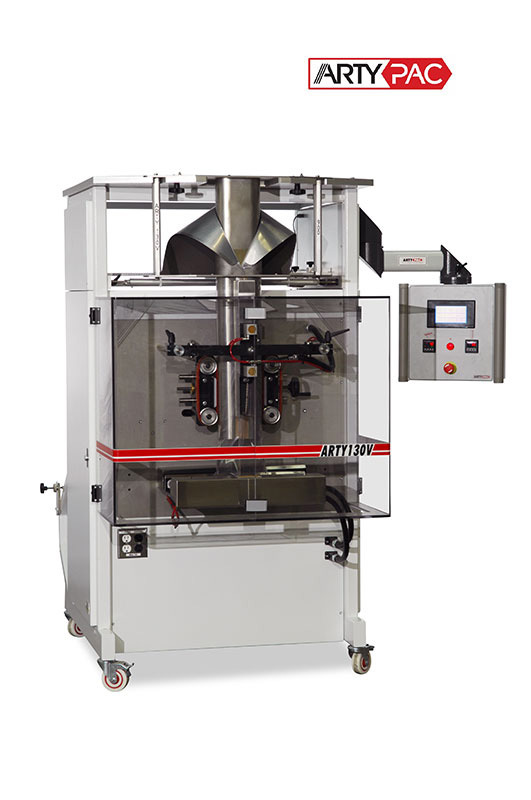 Separate control panel mounted on an articulated arm makes readily accessible data on machine status and operation.